Curator Valerio Del Baglivo and Milanese collective Radical Intention present the first edition of Decompression Gathering Summer Camp with visiting artist Brett Bloom (Temporary Services): a week of decompression, communal living and group working at the end of the summertime, before going back to work. 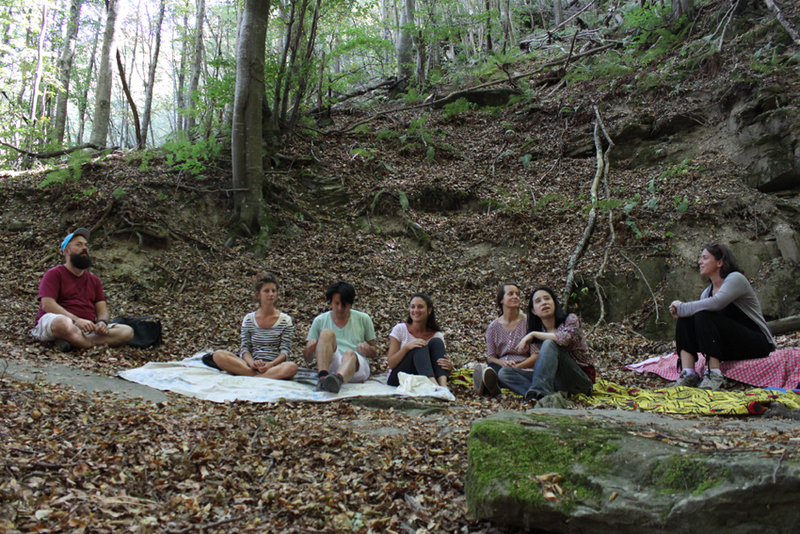 Decompression Gathering Summer Camp is to be seen as a peaceful moment of togetherness, before going back to work. 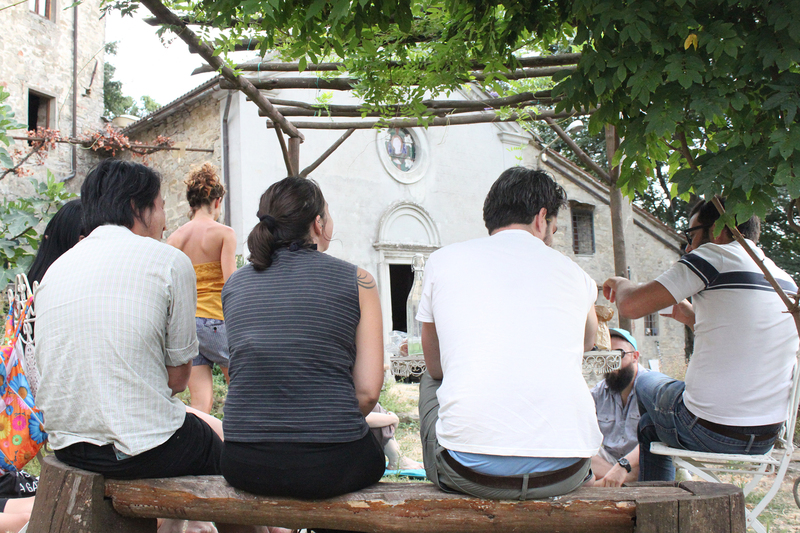 In light of current neo-liberal policies – which appear to solely promote cultural forms that are proﬁtable and based on individual growth – Decompression Gathering Summer Camp creates an alternative by trying to answer the following question: can the act of gathering forms the basis for a new articulation of mutual learning, communal living, and group working? The camp is a space for rethinking the processes of production and knowledge transmission typically used within traditional forms of artistic residencies or workshops. The whole week is dedicated to experiencing theoretical reﬂections through daily excursions, situations of conviviality and sociability, daily collective tasks that are meant to maintain everyday group life. 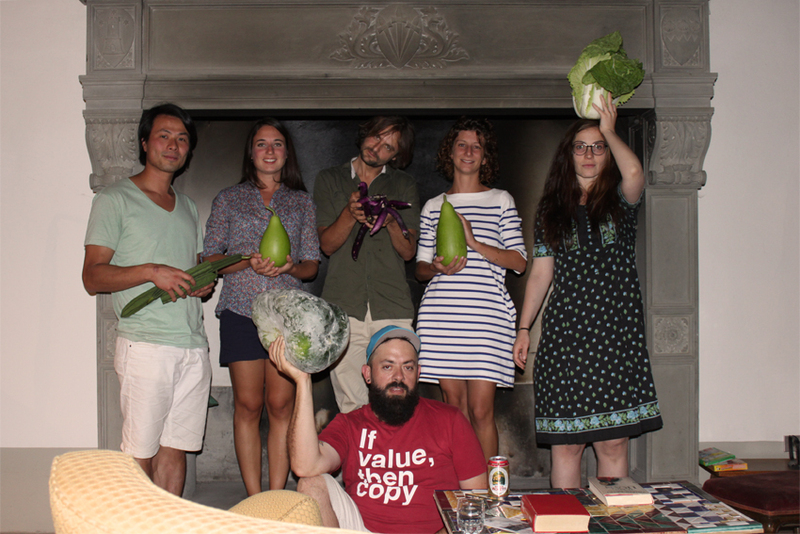 Il curatore Valerio Del Baglivo e il collettivo milanese Radical Intention danno vita al primo Decompression Gathering Summer Camp: una settimana di decompressione, vita comune e lavoro di gruppo alla conclusione dell’estate e prima dell’inizio dell’attività lavorativa invernale. 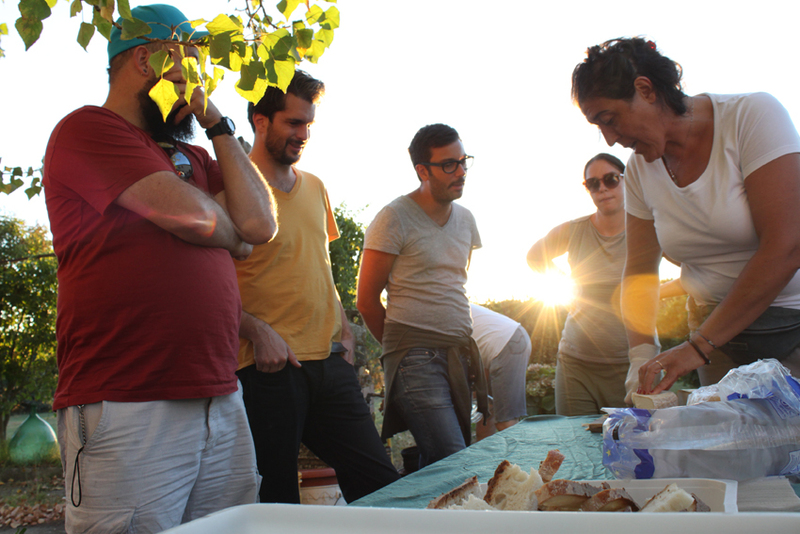 Decompression Gathering Summer Camp si propone come momento di pausa riflessiva prima dell’inizio dell’anno lavorativo con l’intento di ripensare le tradizionali forme di residenza artistica e workshop e i conseguenti processi di produzione e trasmissione della conoscenza che in essi si determinano. In contrasto con le politiche neoliberiste attuali che sembrano promuovere esclusivamente forme culturali redditizie e basate su percorsi individuali, Decompression Gathering Summer Camp intende proporre un’alternativa cercando di rispondere alla seguente domanda: può l’atto di riunirsi insieme costituire la base per l’articolazione di nuove forme di mutual learning, communal living e pratiche artistiche di auto-organizzazione? L’intensa settimana sarà scandita da una serie di azioni condivise che combinano momenti di riflessione teorica, ad esperienze di esplorazione del territorio, all’organizzazione di situazioni di convivialità e socialità, fino al coordinamento collettivo delle mansioni quotidiane presupposte al mantenimento della vita di gruppo. Participants were: Claire Bosi (Artist/Born in Ponte dell’Olio (Piacenza, Italy in 1985, lives and works in Paris, France), Francesca Crudo (Curator/born in 1988 in Florence, lives and works in Milan, Italy), Nicoletta Dalfino Spinelli (Artist and Researcher/born in 1987 in Bari Italy, lives and works in Milan, Italy), Andrea Liu (Visual Art and Dance Critic, Dancer/lives and works in Brooklyn, NY, USA), Ruth Höflich (Artist/born in Germany in 1976, lives and works in Munich and London),William Hsu (Artist/born in Taipei in 1979, lives and works in Auckland, New Zeland), Piero Passacantando (Artist/Born in Rome, Italy, in 1979, lives and works in NY, USA).